Looking for a current event in China? Need some history related the event? Some background information? Newsreels? Try the new Modern China LibGuide. 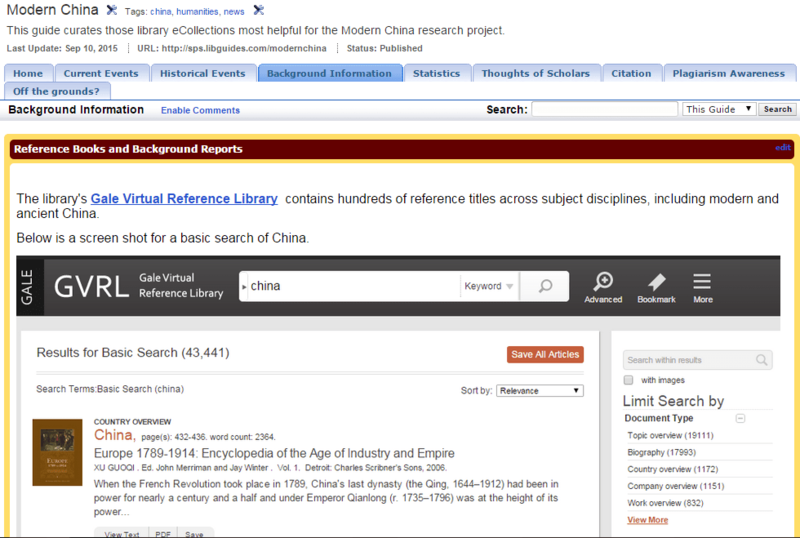 The guide supplies those library-purchased research collections providing the content described above. Berkshire Encyclopedia of China edited by Linsun Cheng, Berkshire, 2009. Just in time for writing your Ma Prize essay, Ohrstrom Library has acquired this five-volume set with 800+ articles about historical and modern day China. Includes articles that focus on: art, philosophy, economics & development, people, social & cultural history, the natural world and international relationships.